The studio’s latest project Coal Drops Yard is featured in this month’s edition of Wallpaper*. 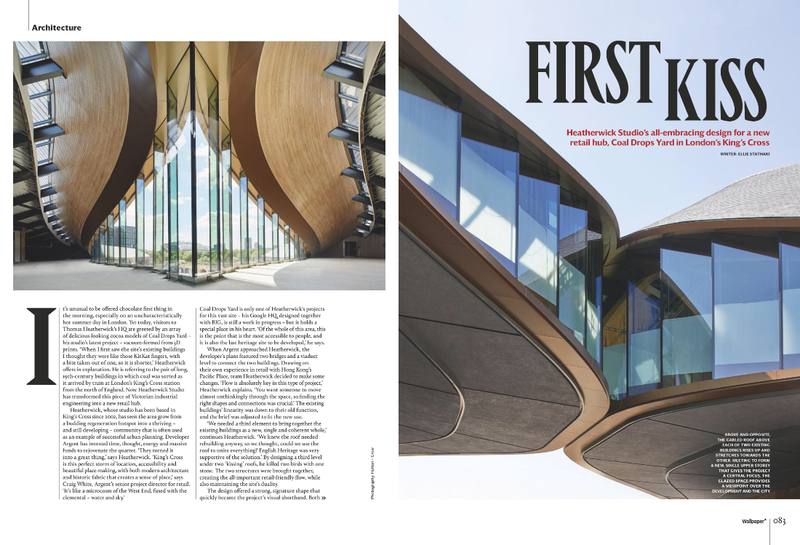 The article gives a first glimpse of the building ahead of the public opening 26 October 2018. The site comprises two Victorian coal drops originally used to receive and distribute coal around London, transformed by the studio into a retail destination with a new curved roof that connects the two historic buildings.